Grow your business with less worry and more savings. 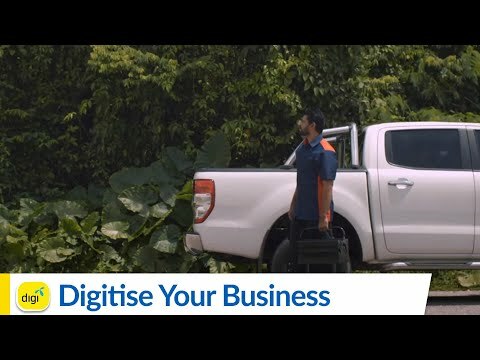 Take control of your business, start using MyDigi Business today! Please enter your name. Name should only contain characters. Please enter your company name. Please enter your company name. Please enter your mobile number. Your principal mobile number must be in this format: 01XXXXXXXX. Your principal mobile number must be at least 10 characters long. Your principal mobile number must be at least 10 characters long. promotions to the email address provided. An error has occurred, please try again. If you require any assistance, you can call our customer service hotline at 016 2211 800.
means an account opened for the Customer with Digi (and/or its subsidiaries) for subscribing to the Service. means the point in time when the said Service is activated in the Digi System. means the payment made by the Customer to Digi upon registration in relation to the settlement of the following Monthly Charges for the following month(s) subject to these Terms and Conditions. means the completed Corporate Individual and/or Company Registration Agreement including all unilateral amendments, variations, additions and deletions by Digi. 1. Where can I sign up for the new Go Digi plans? Sign-ups for the Go Digi 48, Go Digi 78, Go Digi 98, Go Digi 128, Go Digi 168 are available through appointed Digi Key Account Management (KAM) such as Corporate Account Managers (CAM), Biz Dealers, Telesales. 2. Who can sign up for the new Go Digi plans? The new Go Digi plans are only applicable for businesses with a valid business registration number under The Companies Commission of Malaysia (SSM). Applicable for New/Port-in/Transfer of Ownership/Digi Postpaid to Digi Business/Prepaid to Postpaid/Existing (add lines)/Renewal. All submissions are subject to credit risk approval by Digi. 3. Is there a minimum criteria to sign up for Go Digi plans as a corporate customer? Yes, you are required to sign a minimum of Go Digi 128 or a combination of any 2 (TWO) lines (mobile and broadband only). 4. If I wish to cancel my Digi Corporate Account, how do I go about the process? In the event you wish to terminate the Service/line(s) in your Corporate Account with Digi, one (1) month advance notice in writing is required to be sent to our Business Support Centre. Thank you for your continuous support. 5. I own a foreign company registered overseas. Can I still subscribe to the new Go Digi plans? Yes, you can. However, you may be required to pay an additional deposit of RM500 per line on top of the advance payment required. 6. The Go Digi 78, Go Digi 98, Go Digi 128, Go Digi 168 plans all come with unlimited voice calls and SMS. Can I really use them without any limits? 7. If I sign up for Auto-Billing under the new Go Digi plans, what benefits do I enjoy? You will receive a 5% discount on your monthly total bill for the first six (6) months of subscription when you sign up for Auto-Billing. 8. What is the Charging block for Go Digi plans? The charging block for Go Digi plans, after you have exceeded your FREE monthly usage, is 30 seconds (excluding Go Digi plans with Unlimited Calls to all networks). Unlimited Calls to all networks excludes video calls, calls to special numbers, calls to toll-free 1-300 numbers and calls to 121 numbers. 9. What are the special rates for voice Calls made to selected numbers? 10. How do I update Authorised Person's or Administrator's details? Kindly get the Authorised person determined by your company and stipulated in the original Customer Registration Agreement to write in to our Business Support Centre at bsc@digi.com.my, to update the details and/or account information. 1. Where can I sign up for the new Go Digi WiFi plan? You can sign up for Go Digi WiFi 68, Go Digi WiFi 108 or Go Digi WiFi 158 through Digi Key Account Managers (KAM), Digi Corporate Account Manager (CAM), and appointed Biz Dealers and Telesales. 2. Who can sign up for the new Go Digi WiFi plans? Only businesses with a valid business registration number under The Companies Commission of Malaysia (SSM) can sign up for Go Digi WiFi, on the condition that it is a new registration. All submissions are subject to credit risk approval by Digi. 3. Is there a minimum criteria to sign up for Go Digi WiFi plans as a corporate customer? Yes, you are required to sign a minimum of Go Digi WiFi 108 or a combination of any 2 (TWO) lines (mobile and broadband only). 4. I own a foreign company registered overseas. Can I subscribe to the new Go Digi WiFi plan? Yes, you can. However, you may be required to pay an additional deposit of RM500 per line on top of the required advance payment. 5. For NEW line registration with a non-existing Digi Enterprise customer, is advance payment required? Yes, advance payment is required for NEW registration on Go Digi WiFi if your company was not registered with Digi Enterprise previously. Kindly refer to the latest marketing update for advance payment amount. 6. I am given Unlimited Workday Internet on Go Digi 168. Is this quota really unlimited? Yes, you are allowed to use this unlimited quota Mon - Fri from 9am - 6pm on Digi 4G network. However, this is subject to Digi’s current Fair Usage Policy (FUP). Please refer to the fair usage policy stated on the website at http://new.digi.com.my/ms/tnc/fair-usage-policy. 7. What happens when I exceed my monthly Mobile Internet Quota? Will I be charged for extra usage? No, you will not be charged extra when you exceed your monthly Mobile Internet Quota. Your data service will be throttled until the next billing cycle. You can opt for our 10 day or monthly Internet Quota Add-Ons to continue surfing the Internet at regular speed, subject to the relevant terms and conditions. 8. Am I allowed to make calls and SMS using this broadband SIM? If YES, will I be charged? You cannot make calls and SMS as the broadband SIM does not have call and SMS functionality. Digi reserves the right to suspend/terminate usage of broadband SIM on unauthorised devices. 9. For Go Digi plans, WhatsApp and WeChat are unlimited, is this applicable for Go Digi WiFi plans? Yes, the WhatsApp and WeChat apps will be unlimited on Go Digi WiFi plans. 10. Where can I check my data usage and balance? You can check via the MyDigi App. 11. It is mentioned that there is an additional RM20 discount for a purchase-with-purchase (PWP) with Go Digi 98, Go Digi 128 and Go Digi 168, is this applicable to all Go Digi WiFi plans? What are the criterias? The RM20 additional discount is applicable for all Go Digi WiFi plans with the condition that the Go Digi WiFi plan is paired with Go Digi 98 and above. The offer limited to the purchase of ONE (1) broadband unit when you sign up for ONE (1) Go Digi 98 or Go Digi 128 or Go Digi 168. 1. What happens if I exceed my monthly Mobile Internet Quota? Will I be charged for extra usage? No, you will not be charged extra when you exceed your monthly Mobile Internet Quota. Your data service will be throttled until the next billing cycle. You can opt for our 10 days or monthly Internet Quota Add-On to continue surfing the Internet at regular speed, subject to the relevant terms and conditions. 2. What is 4G Plus Internet? 4G Plus Internet is an additional quota given to customers from Mon – Fri between 9AM – 6PM on our high-speed 4G network. This quota is only usable on the 4G network with 4G devices. Upon depletion of 4G Plus Internet quota, the Internet quota from your standard internet bucket will be utilized. 3. I am given Unlimited 4G Plus Internet on Go Digi 168. Is this quota really unlimited? 4. In the previous Biz SmartFree plans, whatsapp and wechat usage is unlimited. Is this offering still included? Yes, we will still whitelist the whatsapp and wechat app for customer usage. 5. Where can I check my data usage and balance? You can check your data usage and balance via the MyDigi App. 1. 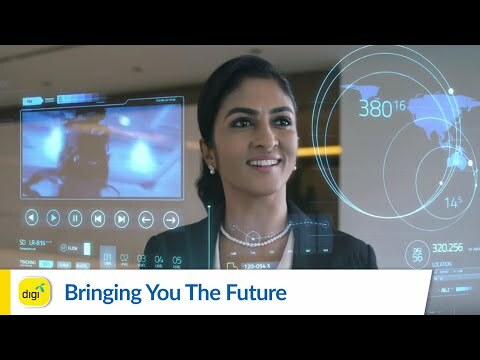 What is the Unlimited Singapore IDD about? Unlimited Singapore IDD is a limited-time promotion that is applicable to calls made to Singapore from Malaysia on Go Digi 128 and Go Digi 168. Fair usage policy of 500 minutes is applicable. Other terms and conditions apply. 2. What is the FREE Go IDD bundle? 1 (ONE) Go IDD bundle will be included in Go Digi 128 and Go Digi 168 for FREE. You have an option to choose between Go IDD Asia or Go IDD World. Purchase of 2nd Go IDD bundle is at RM30/month. For example, if you’ve selected Go IDD Asia as your FREE bundle, you are allowed to purchase GO IDD World at RM30/month. 3. Can I subscribe to Go IDD Asia and subsequently change to Go IDD World and vice versa? Yes, you are allowed to subscribe up to a maximum of 2 Go IDD bundles. However, change in subscription on your existing Go IDD bundle will require a RM10 processing fee and the monthly charges & minutes on your existing bundle will not be prorated. Customer is subscribed to Go IDD Asia and would like to add on Go IDD World as a second subscription, no processing fee required. Customer is subscribed to Go IDD Asia and would like to change to Go IDD World, a processing fee of RM10 is required. 4. Can I subscribe to two of the same Go IDD bundles? For instance, I want to purchase 2 Go IDD Asia bundles. No, you are not allowed to subscribe to 2 similar Go IDD bundles under one rate plan. You are only allowed to subscribe to a maximum of 1 Go IDD Asia and 1 Go IDD World bundle. 5. Am I able to check my balance for Go IDD bundle? Where can I check this? Yes, you are able to check your balance via the MyDigi app. 1. What is the FREE Go Roam bundle? Go Roam Advance is included for FREE with Go Digi 128 and Go Digi 168 plans. However, Go Digi 78 and Go Digi 98 customers are allowed to sign up for Go Roam Basic and Go Roam Advance respectively at only RM10/month. Go Digi 168 customers can upgrade to Go Roam Premium at only RM10/month. 2. I am on Go Digi 48 and I am not entitled to subscribe to Go Roam bundle. Can I still roam? Yes, you are allowed to roam on a pay-per-use rate. Subsequently, you can also opt for our daily unlimited Internet roaming (from RM36/country/day) or unlimited social messaging (RM10/24 hours) in/with selected countries/mobile operators. For more information, please visit our Roam Freely (http://new.digi.com.my/roaming/unlimited-internet-roaming-social-messaging) section. 3. What happens after I have fully utilised my Go Roam bundle? Am I still able to surf the Internet and make roaming calls? You will be able to make and receive roaming calls at a pay-per-use rate. However, you are only able to surf the Internet by purchasing an additional roaming pass. Please log on to (http://new.digi.com.my/roaming/roaming-pass) section. 4. How can I purchase the additional roaming pass? You will have to dial *800# shortcode to make the purchase. 5. Can I use the new Go Digi plans to access the Internet when I am roaming? Will I be charged extra? 6. Can I use the bundled minutes and SMS under the new Go Digi plans when I am roaming? All minutes and SMS bundled under the new Go Digi plans are applicable for domestic usage only i.e. within the Malaysia network. Any usage on Roaming will be charged to your Go Roam bundle, roaming passes or as per standard rates based on a Pay-As-You-Use basis. 7. Am I able to check the balance of my Go Roam bundle? Where can I check this? Yes, you can check your balance via the MyDigi App. Covered by Go Roam Bundle? Yes, in order to enjoy the Go Roam bundle, you must be hooked on to one of the operators based on the list below. If you do not select a preferred operator, data roaming is not allowed but you will still be allowed to make and receive calls based on pay-per-use charges.